Take the amazing Define S, shrink it down and this is what you get: A compact tower that doesn't compromise on ease of use or functionality. 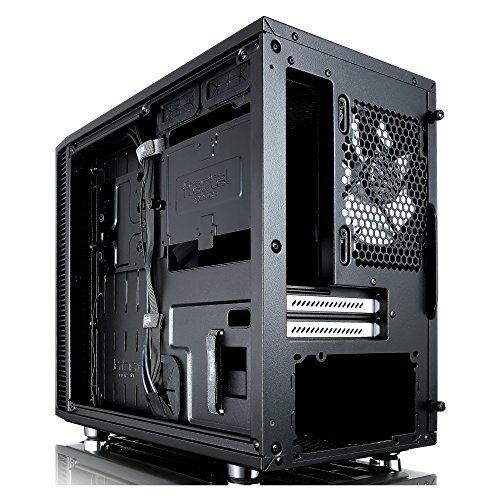 I always looked at a the Fractal Design cases and even planned to upgrade this build to a Define R5 or Define S but I really liked the small factor builds. I was so happy when this case became available. I purchased it as soon as I could. The quality of this case is amazing. I really like the multiple filters that are included and the sound dampening material as this case sits 2 feet from me when I use the computer. The included fans are quiet and the layout is fantastic. The only thing I would have liked for them to include but didn't is a fan controller or hub. Mini ITX motherboards are not known for having multiple fan headers. Mine only has two. Well it's a Fractal Design R5 but smaller, much smaller. This case was a pleasure to work with and airflow is exceptional, looks fantastic too. 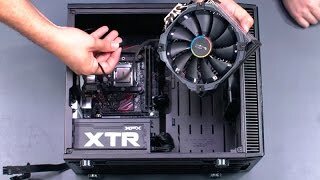 This is the case to have if your are planning a water cooling or are looking for a small form factor that fits on your desk. 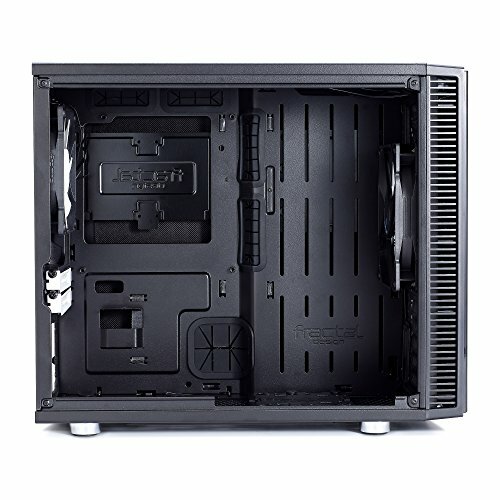 It was a little hard for me to get my hands in to connect the hdd light and other connectors but I would recommend this case 100x over. Amazing cable management in the back and lots of space for drives and other options. I LOVE THIS CASE!! My only real negative about this case is that the window is SUPER EASY to scratch, so watch out! Excellent case, very easy to work with, quiet, and understated looks. Love the included velcro straps, the included fan splitter, and the sound-dampening foam. Only complaint is that there's no top dust filter if you remove the top Moduvent cover. from completed build Black and Red build for 1440p/144hz gaming in a Nano S.
At first I wanted to do a small form factor build but I didn't want to spend the money on an Ncase or a Dan A4, which both also had long wait times for shipping. Instead, I decided to find a more mass produced case. 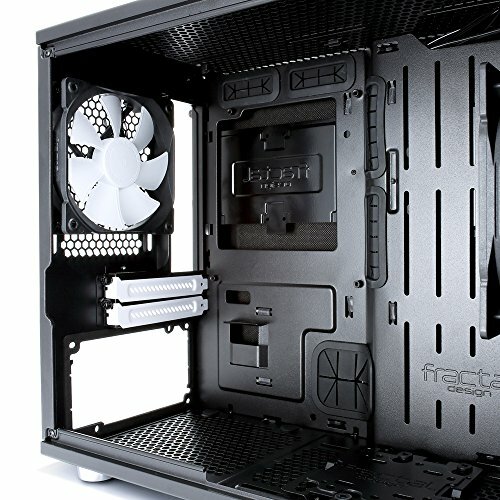 The smallest case I liked that would still fit a 280mm radiator for a Kraken x61 was the Fractal Design Define Nano S. It also had dust filters and sound dampening lining which were all things I was looking for. Add a window panel on one side and for me this was the perfect case. The cable management is very easy with the included accessories. from completed build EDIT: GPU ARRIVED. Chronos PC, My new ITX build!. 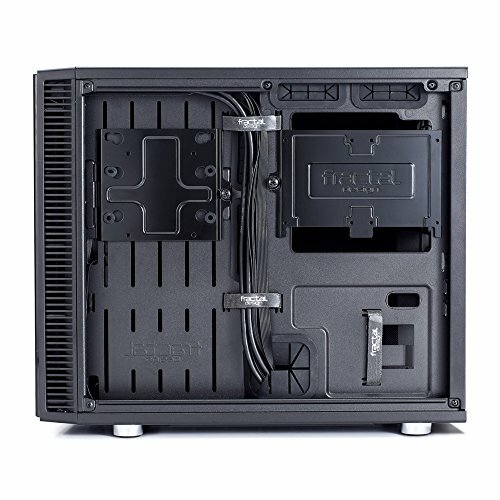 My new favorite ITX case. Right from the unboxing this case screamed quality; very sturdy and solid with ample room for components. I love the clean look and the sounds dampening is awesome.